sd00:59In the 1930s, Japan builds a number of military bases and training camps on Taiwan. sd01:21CIRCA 1944 news reports on Winston Churchill's visit to Paris as he commemorates Armistice Day with general De Gaulle, followed by parade. sd00:19FORMER U.S.S.R. - CIRCA 1950-1960: Mourning in the USSR. 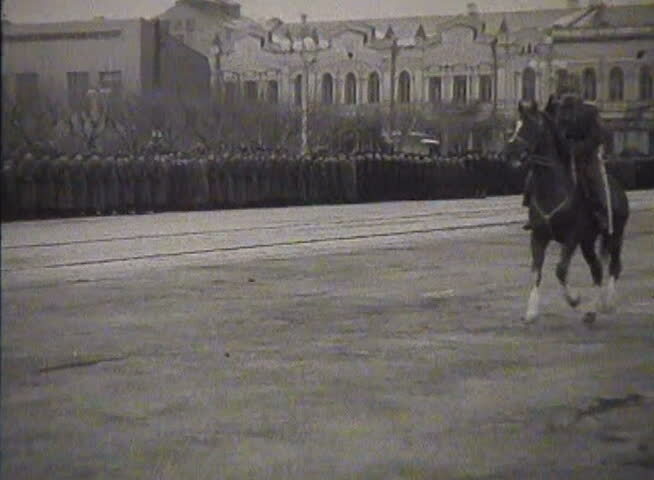 The funeral of Stalin March 1953.